They’re back! Leonard, Sheldon, Penny and the rest of “The Big Bang Theory” gang returned to the small screen Monday night for the Season 9 premiere of the CBS sitcom. The episode picked up right where viewers left off last season, with Leonard (Johnny Galecki) and Penny (Kaley Cuoco-Sweeting) headed to a Las Vegas chapel for the "wedding of the year." Is it the most romantic day? With a live stream package option, how could it not be? “We put this off long enough. Let’s do it,” Penny tells Leonard. But before the two can walk down the aisle, Sheldon (Jim Parsons) calls with the devastating news that Amy (Mayim Bialik) broke up with him. Back at the chapel, Leonard wants to talk to Penny about “the kiss.” However, Penny doesn’t want to talk about it before they get married. Although their wedding day isn’t exactly like they pictured, they agree to go through with it. As the ceremony gets live streamed, things fall apart at Bernadette and Howard’s. 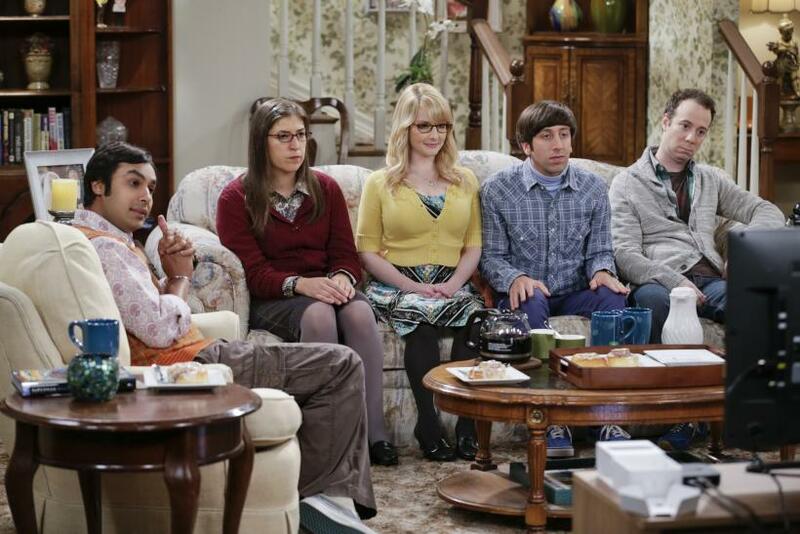 Sheldon ends up insulting Amy, and Amy decides to break things off with Sheldon for good. The two storm off, leaving only Howard and Stuart (Kevin Sussman) in the room as Penny and Leonard finally make it official. Unfortunately, their happy moment doesn’t last long. Penny can’t help but think about Leonard kissing the mystery girl. And things only get worse when Leonard reveals he feel guilty “every time” he sees her. That’s right. Penny learns Leonard works with the girl he kissed! The two return home and go to their separate apartments, something that makes Sheldon happy. But being home only complicates things further. Sheldon tells Penny the mystery girl -- Mandy Chow -- is brilliant and attractive. “She can do way better than Leonard,” he says bluntly. And Penny drops a bombshell on him -- she knew that Amy was going to break up with Sheldon and encouraged her to follow her heart! “The Big Bang Theory” Season 9 premiere left off with the two couples on the outs, but fans did find out where Sheldon got Amy’s ring from -- his mom! It was his grandmother’s ring, but Sheldon’s mom isn’t ready for him to return it. She tells Sheldon to hold onto it … especially since her daughter is married and she doesn’t care for the girl her other son is dating.